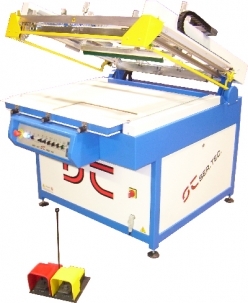 The ideal screen printing machine for print on all hard and soft materials. -separate control of squeegee and ood coater speed. -vacuum table with micro registrations system x ,y, z.